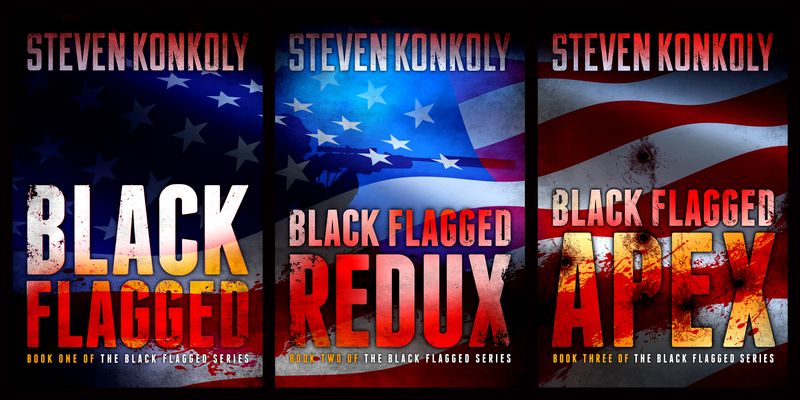 Book Three in the Black Flagged Series. “A tense alliance between the CIA and General Sanderson’s covert operations group narrowly averts a deadly bioweapons attack by Islamic fundamentalists against Europe. 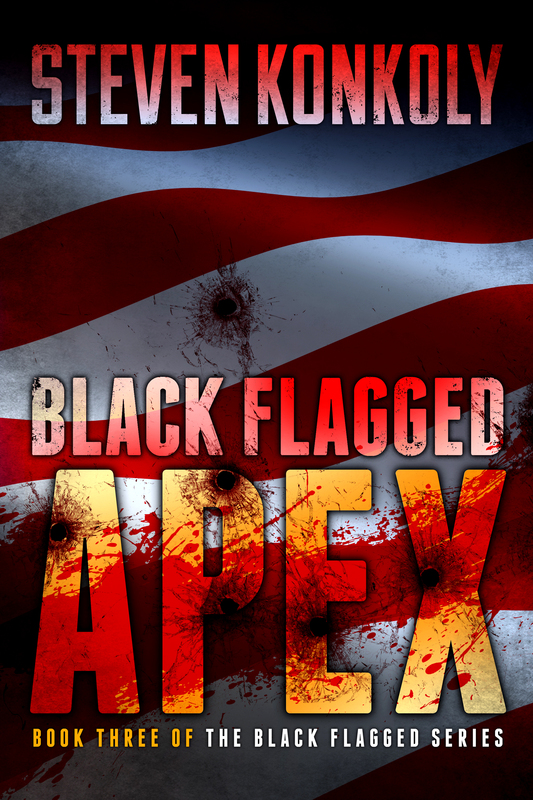 With the virus canisters still missing, Daniel Petrovich’s “black ops” team is sent to investigate a lead provided by Dr. Anatoly Reznikov, the twisted scientist responsible for handing the virus over to Al Qaeda. What they uncover will shake U.S. authorities to the core. Back in Washington D.C., the grim reality of this discovery is compounded by a startling revelation. Suspected Al Qaeda cells under FBI surveillance have been simultaneously murdered, targets of a shadowy domestic terror organization with ties to a rising political movement within the United States. When Special Agent in Charge Ryan Sharpe discovers that Al Qaeda lost the Zulu Virus canisters in the coordinated massacre, he deploys Task Force Scorpion to hunt down a new breed of terrorist and recover the virus. As Sharpe’s task force unravels the curious fabric of True America’s plot, they start to assemble the chilling details of a possible domestic bioweapons attack–on an unimaginable scale. With time expiring, and his task force running out of options, Sharpe embraces the illicit help of a sworn enemy, whose questionable tactics may be their only chance of stopping an insidious plan to destabilize the United States. CHECK OUT THE NEWLY DESIGNED SERIES CONCEPT BY ARTIST JEROEN TEN BERGE.